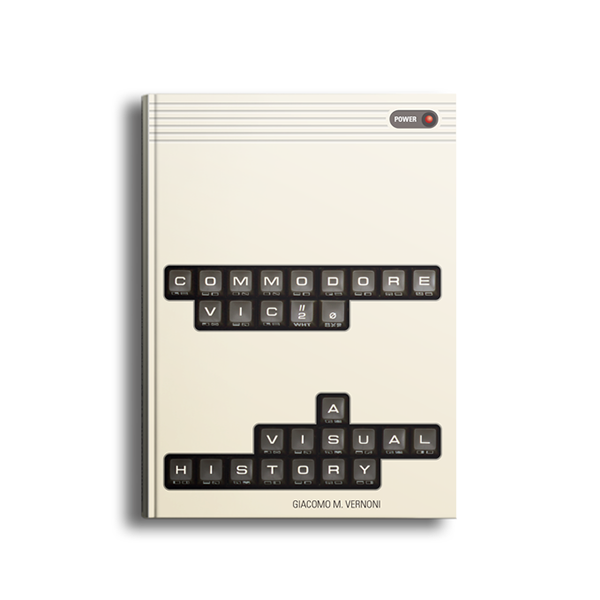 One of the many Apple II clones, this was designed to look more professional, moving away from the “all-in-one” concept by having a more pc-like style with a central unit, double drive and a separate keyboard. Besides a small ad in an old magazine, I couldn’t find any information about this Staff company. The top case can be easily lifted to gain access to the expansion slots. 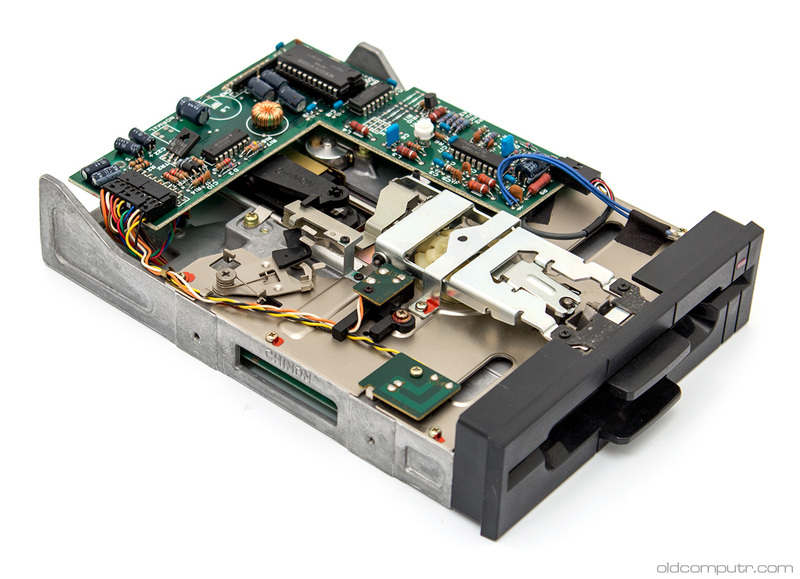 The add-on boards I found in this machine are a floppy drive controller and a language card with just the ROMs to boot from a floppy: the 48KB memory expansion for a total of 64KB is directly present on the motherboard, as is the Z80 processor for the CP/M compatibility, quite common on some clones. 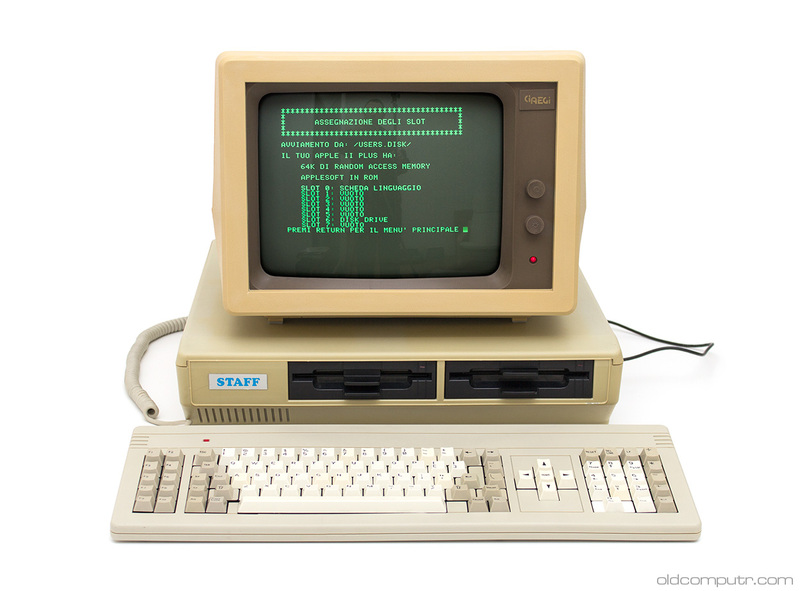 Booting from a genuine Apple floppy, the system is recognized as an Apple II Plus; the startup screen shows “STAFF C1” in place of the “APPLE ][” message. I wonder if the name of the Company was chosen to be 5 letters long to be able to replace the portion of the original ROM without having to truncate it. The capacitors in the power supply unit are a bit rusty, I should replace them as soon as possible. 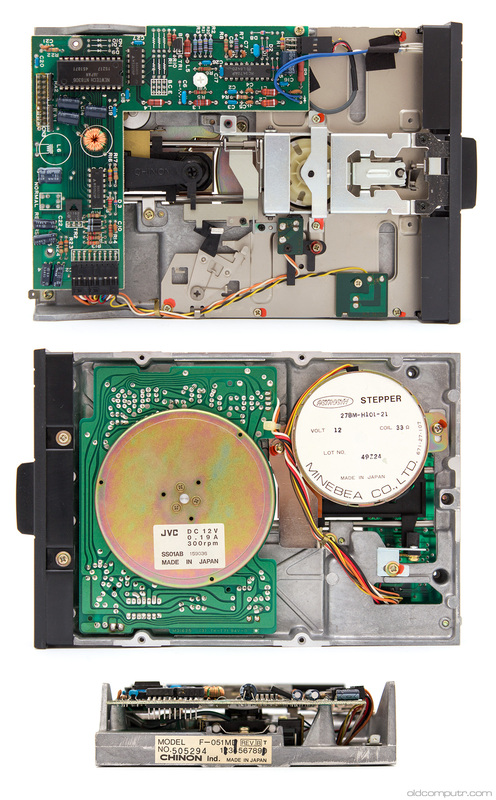 The two floppy drives are built by Chinon, model F-051MD. A small board was designed to connect a keyboard with more keys than the original one, you can see it right after the top case in the teardown view. 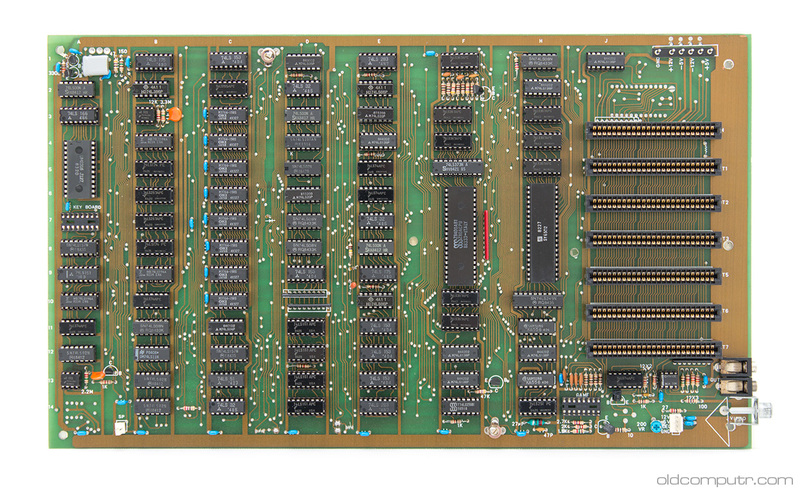 This entry was posted in Staff C1 (Apple II clone) and tagged Apple, clone, desktop, exploded view on February 28, 2016 by Giacomo Vernoni.